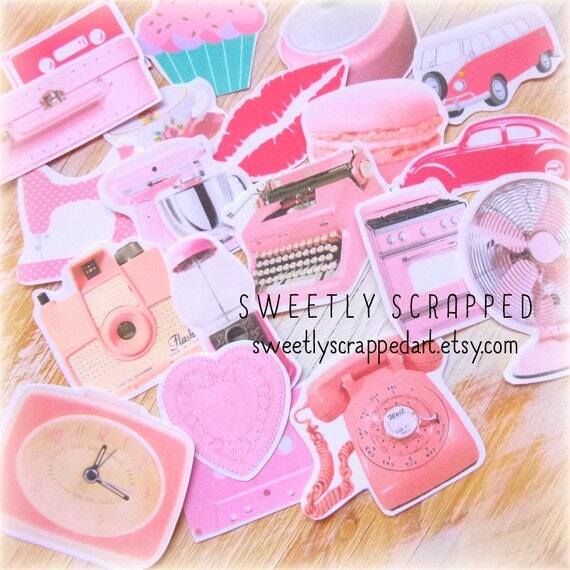 Sweetly Scrapped: VINTAGE PINK Cut Outs ... Embellishments, Paper, Telephone, Typewriter, Clock, Cupcake and more! 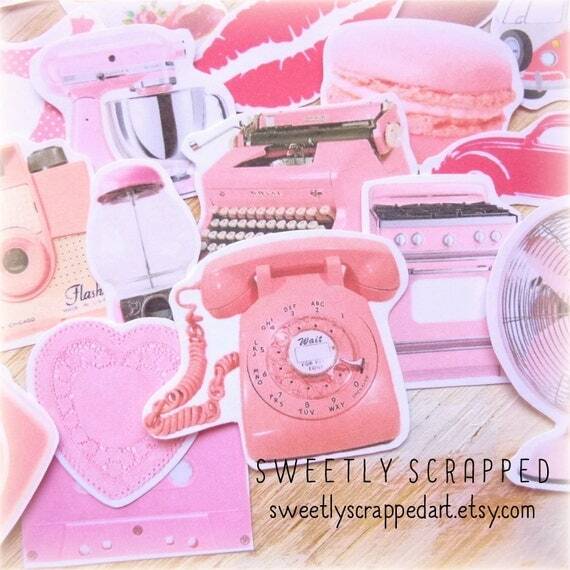 VINTAGE PINK Cut Outs ... Embellishments, Paper, Telephone, Typewriter, Clock, Cupcake and more! 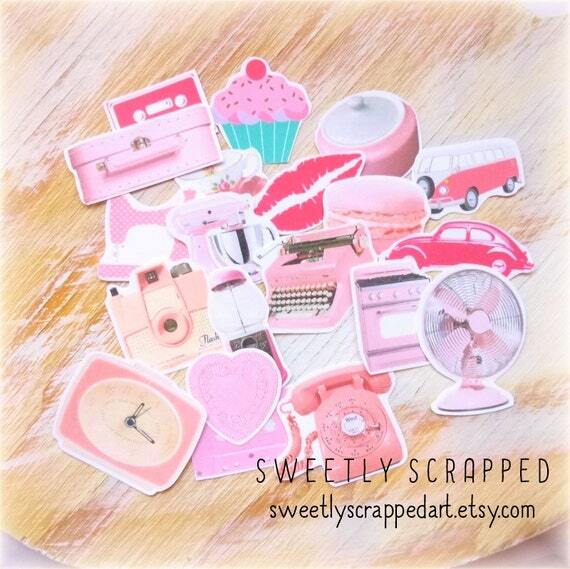 How fun are these little paper embellishments!!! 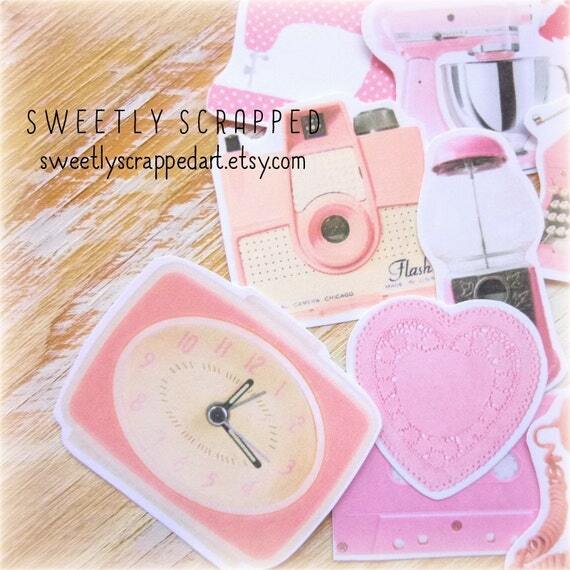 There is a variety of images all themed around the color PINK!!!! Use one to fit your projects or let one inspire you to create something new! They vary in size but are all less than 2 inches either in height or width. They are created on plain white cardstock. I've hand picked each item to add to the mix. You get a total of 20 pieces. You can purchase these HERE in my Etsy shop!